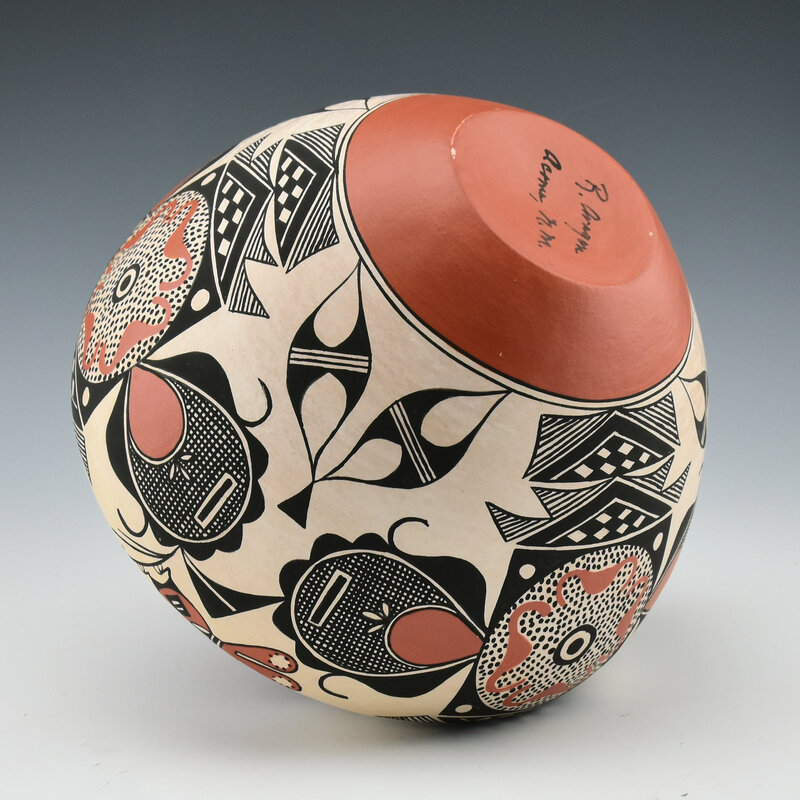 This is an exceptional jar by Rachel Aragon. 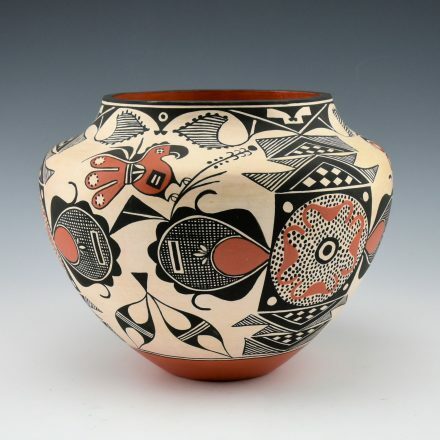 She is known for her classic Acoma pottery. This is the imagery for which she is most famous and it is exciting to see it on a bit smaller jar. The size and the precision of the painting give the piece a wonderful intensity. 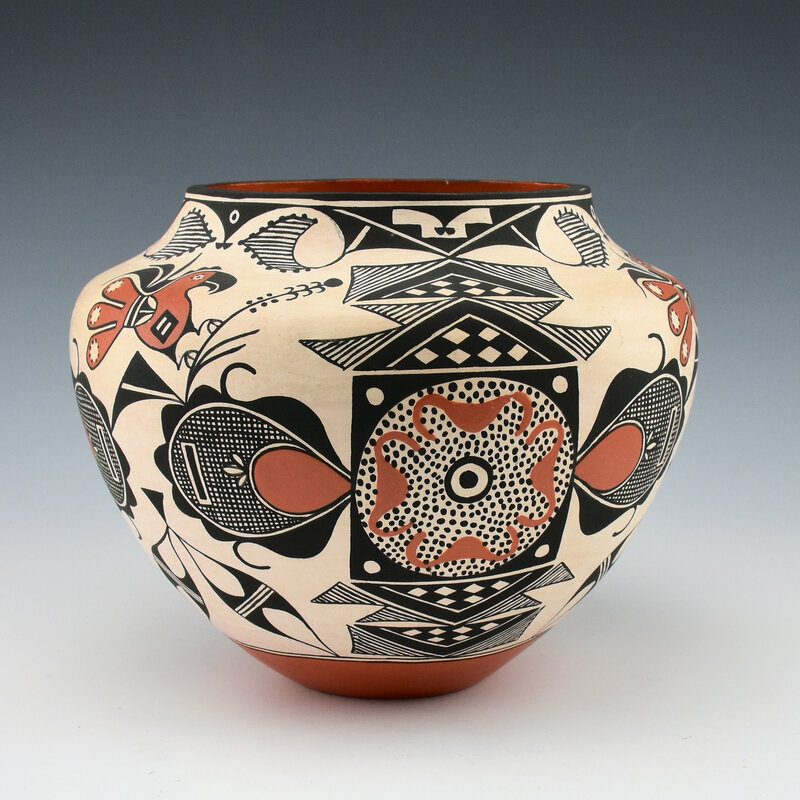 This water jar is a classic Acoma shape with a high shoulder and neck. The jar has the famous sun medallion painted in two sections. 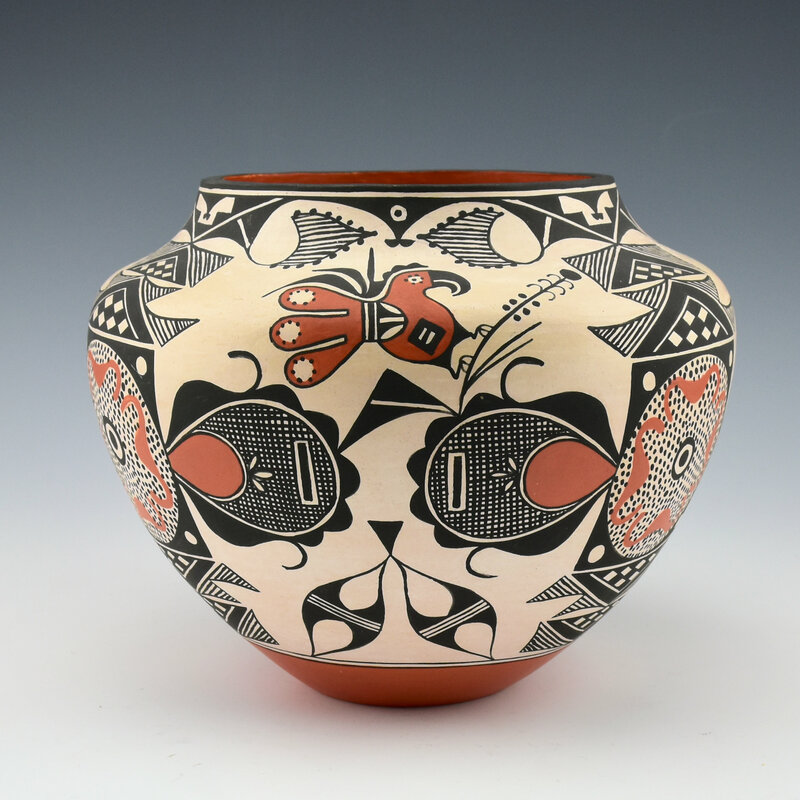 It was this design from an Acoma jar from the 1880’s which potters like Tonita Roybal took inspiration. There are additional very tightly painted birds and fine-line patterns. The intricacy of his jar is striking in person. The jar is signed on the bottom in the clay, “R. Aragon”. It is in excellent condition with no chips, cracks, restoration or repair.